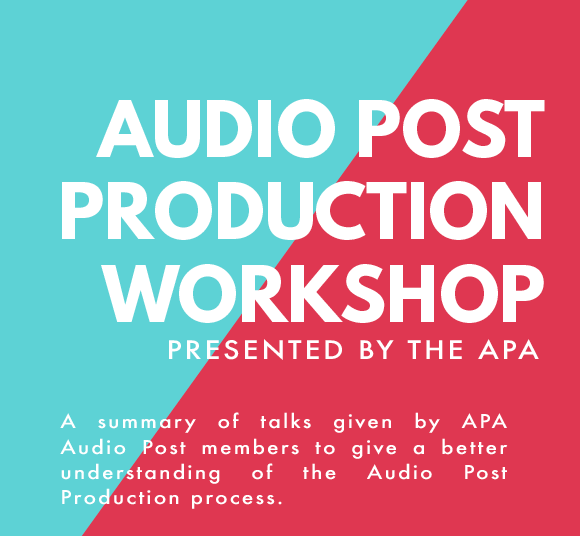 Earlier this year, the APA held the Audio Post Production Workshop, a half-day workshop which aimed to give both agency and production producers a better understanding of the audio post-production process. The workshop included speakers from APA member companies Factory, GCRS, Angell Sound, Wave, Soho Sq Studios & Clearcut Sound Studios all providing insights to and demystifying the process of audio post. With the workshop being so popular, we decided to create a permanent and shareable booklet that includes an extended explanation from each audio post speaker. You can now download the booklet below.